NMIMS NPAT 2019 - NMIMS - NPAT 2019 (Admission test for NMIMS Programs After 12th) is the official entrance test for admissions to Undergraduate and Integrated Degree Programs for Academic session 2019-20 being offered by constituent schools of SVKM's Narsee Monjee Institute of Management Studies (Deemed to be University Under Section 3 of UGC Act 1956) at Mumbai, Shirpur, Bengaluru, Hyderabad, Navi Mumbai, Indore and Dhule Campuses. Applicants can check all the necessary details of NMIMS NPAT 2019 application form, eligibility criteria, fee and selection process etc. from the page below. 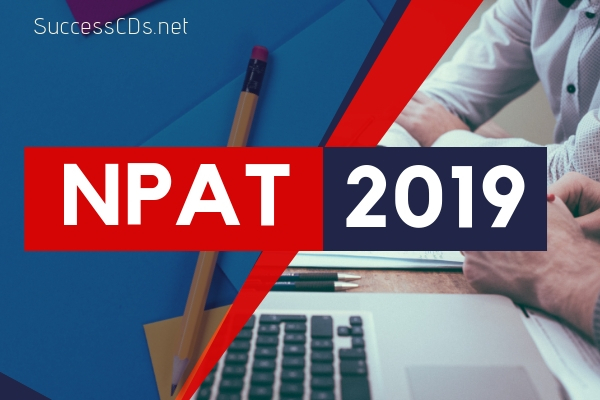 To be eligible to apply for the NMIMS NPAT 2019, applicant must have passed in class 12 or equivalent examination. The 10+2 exam must have been cleared in first attempt from any recognized board. The maximum age limit to be eligible for the admission in courses is 25. Merit list will be prepared on the basis of the performance of the applicant in NPAT. Merit list will be prepared on the basis of the marks obtained in NPAT 2019 & preference of campus given in online registration form. Applicants are required for admission process in person. In the counseling session applicants will be given admission to various disciplines as per their merit, choice and availability of discipline as per eligibility criteria. The Merit list will be put up on the NMIMS website as per important dates. The decision of the institute will be final in this regard and no inquiries or correspondence in this regard will be entertained. The decision of the institute will be final in this regard and no inquiries or correspondence in this regard will be entertained. Engineering aspirants interested to apply for UG programmes (B.Tech. and MBA Tech.) of MPSTME should note that there is a change in test structure from the exiting SAT pattern to PCM.